North Konkan (Including Mumbai) and Southern coastal Gujarat. Temperatures will rise in Vidharbh, Marathwada and Telengana. Mumbai: Mumbai can bid adieu to the pleasant "mild Mumbai" weather from Saturday.23rd. 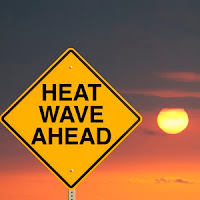 At Mumbai Scruz, a gradual rise will see the mercury rising (from the present 31c) to 34c by Saturday, 36c on Sunday 24th and 38c on Monday 25th and Tuesday. During the peak heat on Monday/Tuesday, Colaba can touch 36c. Very windy on Sunday and Monday evening. Nights will also rise to warmer temperatures in Scruz to around 22c. A change of winds to NE, and expecting a delay in the cooler sea breeze will shoot the mercury upto these levels. Outer townships like Panvel, Navi Mumbai, Badlapur and Kalyan will experience heat wave on Monday/Tuesday with the day reaching 40c or above. Pune: Warming up from Saturday, with the Sunday mercury rising to 38c and Tuesday possibly chances reaching 39/40c. For those wanting to escape this heat...Hill Stations Like Lonavala (34/35c) and Mahableshwar (33/34c) will be hot this weekend. Surat: A gradual rise will see Surat touching 40c by Monday. Vadodra or Bharuch can also beat Surat in reaching the first 40c (Monday) in Gujarat. 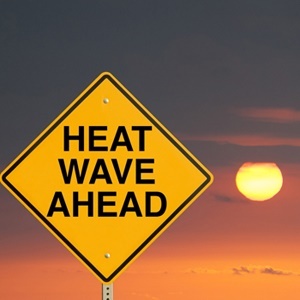 Heat likely to subside after Wedneesday 27th. My worry is chronic drought over south-east india -> Tamil Nadu, Andhra Pradesh(entire south AP), south interior karnataka (from bellary,kolar,mandya) -4 years of monsoon failure. Lack of pre-monsoon spells disaster like 2016 monsoon failure over south India. SE India is as bad as desert! The districts which have been declared drought-affected (Hydrological Drought) are: Chennai (serviced by CMWSSB), Dharmapuri, Krishnagiri, Karur, Salem, Vellore, Tiruchirapalli, Perambalur, Tiruvallur, Namakkal, Virudhunagar, Kancheepuram, Madurai, Dindigul, Erode, Pudukottai, Sivagangai, Thanjavur, Viluppuram, Tiruvannamalai, Ariyalur, Nagapattinam, Cuddalore and Ramanathapuram. The government also declared the 38 blocks of Tirunelveli (6), Tiruppur (9), Kanyakumari (6), Thoothukudi (6), Theni (5) Coimbatore (5) and The Nilgiris (1) districts as affected by Hydrological Drought. Prolonged and longer duration of south west monsoon does not allow north east monsoon to set over south east India. Prolonged and longer duration of western disturbances does not allow pre monsoon to set over south east India. Anantapur, Rayalseema drier and hotter than Jaisalmer ! This makes Rayalseem driest place in India. Anantapur touches 43c (almost above 40c for 10 consecutive days). This directly impacts Bangalore which is very near to Anantapur. Bangalore already in deep water crisis! Vijith: Shall be putting up latest brief on ENSO on Tuesday.